To have a positive influence on outcomes, health insurance providers must be present at the intersection of health and lifestyle. Healthcare leaders around the world are familiar with the term “public health crisis”. From possible pandemics to the impact of obesity, our approach has been limited to reacting to the problem, not addressing its root cause. This has become a paradox in healthcare. Take the US, where chronic diseases, the majority of which are the result of decades of unhealthy behaviour, impact 75% of seniors and account for 71% of the more than $3 trillion spent on healthcare. America’s costly, fragmented healthcare system, known for isolating and confusing people, is not sustainable in managing a growing population of ageing people living with chronic conditions. But it’s not just a US problem. The global population of the oldest seniors, 80 years of age or older, is expected to triple, to 446.6 million people, by 2050. Combined with the 50% of the world’s population that lives with chronic diseases today, this will certainly challenge healthcare systems around the world. Healthcare leaders worldwide must shift from reactive, episodic care to managing health holistically, where the focus is helping people change their lifestyles so they can live healthier lives. Here are three initiatives healthcare leaders worldwide can adopt. It’s no secret that it’s difficult for doctors, patients and caregivers to change unhealthy behaviour, and patients’ personal circumstances, that lead to chronic conditions. To have an influence, health insurance providers must be present at the intersection of health and lifestyle. Social determinants of health – such as food insecurity, social isolation and loneliness that hinder an individual’s ability to alter unhealthy behaviour – can be directly addressed at this juncture. 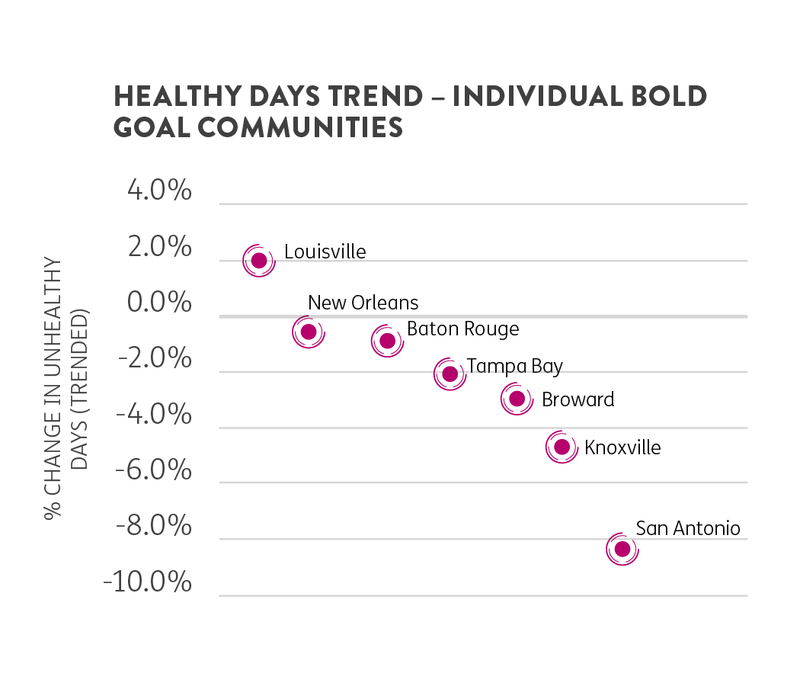 Humana is taking action at the intersection of health and lifestyle with what we call our Bold Goal: that the communities we serve will be 20% healthier by 2020 because we make it easy for people to achieve their best health. Through a population health tool called Healthy Days, we’re able to capture and quantify the number of physically and mentally unhealthy days a person has had in the last 30 days. We’ve partnered with local food banks to learn about food insecurity and how screening for it in medical clinics could help. We’re also working with grocery stores, the YMCA and primary care physicians to address diabetes, nutrition and health literacy, which has helped reduce the number of unhealthy days. Yet these improvements are also dependent on care access. Increasing care access, and making it easier for people to obtain affordable care, is important, especially for care in the home. With ageing populations impacting many countries, technology advancements that enable telehealth and remote monitoring will help caregivers stay connected to the loved ones they care for, as well as their clinical teams. Care in the home is not only the preferred location for a person living with multiple chronic conditions; it’s also a lower cost setting. By intervening at the intersection of health and lifestyle, we can help people make behaviour changes while still living in their communities. The unhealthy behaviour and sedentary lifestyles adopted by societies worldwide have had a significant impact. Fee-for-service systems – episode-driven payment models that reimburse hospitals, physicians and other care professionals for the services they perform, instead of for results – haven’t helped. But there is a solution. In a value system, the physician is reimbursed not for the services, but for the patient’s health. The primary care physician plays the central role, including the co-ordination of care provided by specialists. This role enables the PCP to identify redundancies, such as multiple drug prescriptions. That helps slow disease progression and lower costs, making life easier for the patient and their caregiving team. While physicians are embracing the value-based model with aligned incentives, a recent study by the American Academy of Family Physicians detailed barriers, from lack of staff time to a lack of resources to report, validate and use data that have not budged over the last few years. Despite these barriers, our physician partners have embraced the value-based model and the results for our members. While value-based care reimburses healthcare providers based on the patient’s optimal health, physicians need real-time data that enables them to help correct unhealthy behaviour to achieve these results. 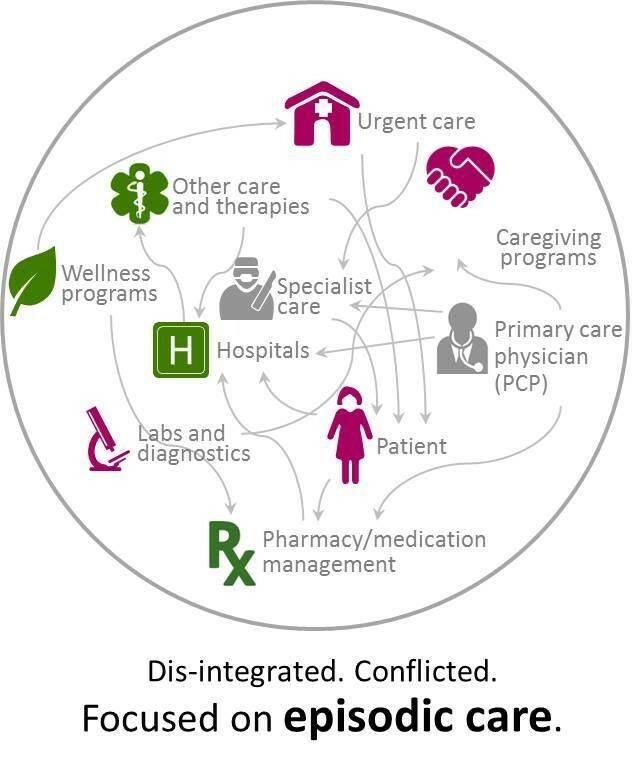 When you have interoperable workflows and systems, physicians, hospitals and health plans are all working together in managing the patient’s health, which leads to a better physician/patient relationship and sets the foundation for early intervention. In an interoperable system, physicians have real-time, personalised information based on patient health and financial claim data that’s easily and securely shared via an electronic health record (EHR). Physicians use EHRs to identify and intervene in moments of influence, such as proactively informing a patient his or her unhealthy behavior is leading to diabetes. There have been glimmers of hope through progress on the road to interoperability. A recent study detailed how increasing integration between public immunisation registries and EHRs led to improved immunisation status among children and adolescents. From the government’s actions, the 21st Century Cures Act is focused on using a “trusted exchange framework” to drive the interoperability detailed above. Technology will keep disrupting care, but it won’t solve everything. By incorporating technology as an element of the holistic approach, one that is designed to address unhealthy behaviour and social determinants at the intersection of health and lifestyle through personalised data, we can slow chronic disease progression across the world. No single entity – government, payer or provider – can remake the complex, fragmented and high-cost healthcare systems. Nations can’t go it alone, either. Healthcare must act at the intersection of health and lifestyle; be aligned on health outcomes, not services; and have complete interoperability to harness technology in a world dependent on technology. All of us – government, providers, health plans and local communities – must harness the power of integration to break down the barriers that have led to an unhealthy planet.